Work hard, play hard, be nice. If he wasn’t a vintner, Stuart would be....crying. 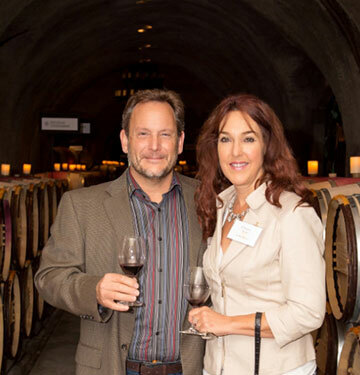 Spoto Wines has been making wines for over 30 years, initially as a home winemaker for the first 20 and then since 2003 as a bonded winery, making premier Napa Valley wines from the Oakville appellation. Not quite sure that there really has been an “a-ha”....it has been more of a growth scenario where we have learned over the many years how to make wine more and more wonderful. David Pearson at Opus One. David was pivotal in welcoming us into the Oakville Wine Growers Association and took us under his wing to provide an environment of opportunity. We consider him to be a very appreciated mentor to us! Cultivating excellence is a perfect motto for us at Spoto Wines because this is exactly what we work diligently every day to accomplish. We will do whatever it takes to wait until our wine is at its peak and won’t ever rush a vintage before we have cultivated the highest level of excellence. The weather is absolutely perfect with the cool mornings and warm days, the best possible setting for growing beautiful grapes. We would never consider using any other grapes and feel grateful for the beautiful grapes we grow in Oakville. Robert Mondavi, because I’m certain that he would like and appreciate our wine and all that went into making a special bottle, especially since we have Oakville in common. Goldie Hawn, because I know her family makes wine and I think she’s hysterical. We could have a lot of laughs while sharing a glass. My dad, who passed away in 1981, so he could see the wonderful wines we make here in Oakville. He would be blown away. Go for it! It is the most rewarding career. Be prepared for hard work but the result will be well worth it. We tell this to young people we speak with every day. We live by our motto: Work hard, play hard, be nice!